to keep The GLOBE Program strong and our community connected. On Tuesday, 15 January, the Trees Around the GLOBE Student Research Campaign webinar “Investigation of Park Mlaka: Live from Croatia” will be held at 2:00 p.m. EST (7:00 p.m. UTC). During this webinar, current and former students of Marina Pavlic (from the Prirodoslovna i grafička škola in Croatia) will be discussing their investigation of Park Mlaka in Mlaka County, Croatia. Students developed an overarching hypothesis: "The trees in Park Mlaka produce enough oxygen for the inhabitants of the entire Mlaka County." The initial research took place from 2016-2017, with students that are now at university. Current students are engaging in research that extends the research on this hypothesis, using biometry, carbon cycle, and aerosol GLOBE protocols. click here. All the webinars can be joined at https://zoom.us/j/7578241037. If you missed previous webinars, click here. To learn more about the Trees Around the GLOBE campaign, including how to start taking measurements, how to retrieve relevant data, how to view ICESat-2 Satellite data, and how to connect to the campaign community, click here. It’s January! The First Trees Around the GLOBE Student Research Campaign Intensive Observation Period Has Begun! Report the number of tree height measurements and identify the additional protocol measurement and number of measurements by the fifth day of the following month. Every participant will receive a Virtual Tree Height IOP Badge! The GLOBE school with the most collected tree height data and additional protocol data will receive a Virtual Tree Height IOP Winner Badge, and a virtual one-on-one Q&A session with a NASA scientist, researcher, or engineer. Attention GISN members, STEM professionals, GLOBE alumni, GLOBE teachers, and other GLOBE community members: Would you like to help judge projects for the 2019 International Virtual Science Symposium (IVSS)? If so, please fill out the form on this page to let us know you are able to help. Also, please share this link with anyone you know who may be interested in helping score projects. More information will be sent to judges in early 2019. Attention GLOBE students and teachers! Do you need assistance from a mentor scientist or STEM professional? Let us know by filling out the form on this page. For more information on the IVSS, click here! 2019 Regional United States SRS Funding Application is Open! Are you participating in the 2019 U.S. Regional Student Research Symposia (SRS)? Did you know that you can apply for support to travel to your region’s SRS? You can! Funding priority will go to eligible schools first; after that, funds will be distributed until they are expended. The 2019 SRS is generously supported by grants from NASA and YLACES (Youth Learning As Citizen Environmental Scientists). The 2019 SRS will give students (grades 5-12) from across the United States the opportunity to come together, face-to-face, and share the results of their field investigations using GLOBE protocols (or data from the GLOBE database) with peers and professional scientists. The SRS will enable students to learn from each other, receive feedback on their research, and explore STEM careers. To learn more about the SRS, click here. Join the GLOBE Professional Learning Community (PLC) and hear how other GLOBE teachers use GLOBE with their students during a Teacher Watercooler meet-up on Wednesday, 09 January (7:00 p.m. EST). Watercoolers are a casual, collaborative, and supportive environment. They are scheduled once a month throughout the academic year. At this Watercooler, GLOBE teacher Vicky Gorman will talk about doing GLOBE at Medford Memorial Middle School in New Jersey, and the "The Citizen Science Education Program." Share your story at a Teacher Watercooler! For more information, and to signup, click here. To register for the 09 January Watercooler, click here. Are you participating in the 2019 IVSS or the 2019 U.S. Regional Student Research Symposia (SRS)? Then you’ll want to check out GLOBE’s “Science Practices: Analyzing Data” resource page today! Resources on graphing activities, GLOBE data access tutorials, visualization color tools, and more! To visit this page, click here! For more information on the 2019 IVSS, click here! To learn more about the 2019 SRS, click here! GLOBE Partners, Scientists, Teachers: Have You Completed the Annual GLOBE Survey? Deadline is 01 February! Have you completed the survey yet? This survey is a more streamlined and shorter version of the survey that has been sent to the GLOBE community in years past. It has been revised to align directly with the new GLOBE 2018-2023 Strategic Plan – and will help determine The GLOBE Program's progress toward the strategic goals. This is the first year of sending out this revised survey, which makes your participation especially important. Each year we will review the survey results to assess whether we should continue with current activities or make changes, as needed. To enter the survey in English, click here. For the Arabic translation, click here. The deadline to complete this survey is 01 February. U.S. Partners/Country Coordinators: Monthly Email Summary of Partner Dashboard Will Provide Insight into Your GLOBE Activities! U.S. Partners and Country Coordinators: You have begun to receive, and will continue to receive, an important monthly email that will give you a deeper insight into the status of your GLOBE-related activities. This new tool will allow you to manage organizations and people under your direction and will serve as a reminder for any action items you need to address. If you have questions about this effort, send us an email at help@globe.gov. A workshop completion reminder email. In addition, users can now retrieve photos (clouds, mosquitoes, and land cover) on the GLOBE website using the Advanced Data Access Tool. ADAT via mobile is now responsive as well. Making layout improvements to the workshop administration tool. To see GLOBE data in action, click here. 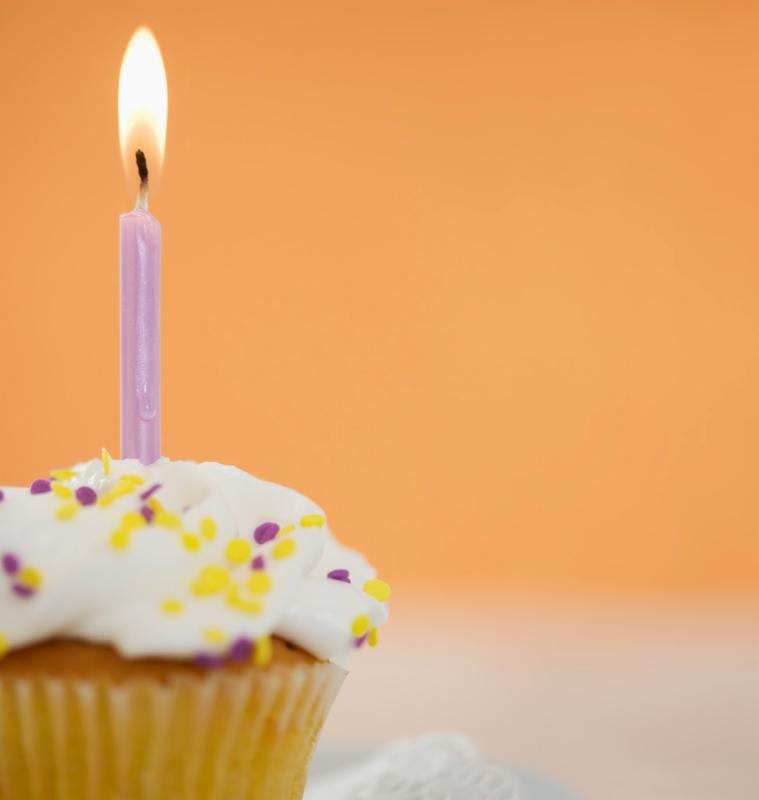 Have a GLOBE Item or Event to Share? We Want to Hear All About it! Want to share a GLOBE news item or an event – or how about a page on the GLOBE website that you find interesting? You can easily share GLOBE by using our sharing tools. Simply click a button on any GLOBE website page to share via Facebook, Twitter, Pinterest, Google+, or to send us an email. Share GLOBE today. Participants at a recent CMT in Suriname. The GLOBE Zika Education and Prevention Project is well underway in the GLOBE Latin America and Caribbean (LAC) Region! Funded by the U.S. Department of State, this invaluable project enlists citizen scientists in Zika-affected regions in the collection and mapping of mosquito data. The GLOBE LAC region has successfully completed its Country Mosquito Trainings (CMTs), which train public health officials, teachers, and community leaders in using the Mosquito Habitat Mapper, within the GLOBE Observer app, to limit the spread of mosquito-borne disease. A recent CMT took place in Ayolas, Paraguay; it was held in collaboration with the hydroelectric power station, Yacyreta. Teachers, public officers, and environmental and health professionals participated in the training. For most participants, it was the first time they were introduced to The GLOBE Program. One participant, Marisol Viana, said that training in the Mosquito Habitat Mapper protocol is important because it makes it possible for citizens to prevent and fight diseases that have already caused many deaths at the country level. Professor Dalia Salinas de Fernández, another participant, said that the Mosquito Habitat Mapper App is useful for city officials in Ayolas, as well as for officials belonging to larger institutions and government departments. The next phase of the GLOBE Zika Education and Prevention Project will be the Local Mosquito Workshops (LMWs), where those trained at CMTs will engage in the “train-the-trainer” approach in order to expand the number of citizen scientists involved in the project. To learn more about this critical project, click here. The NASA STEM Educator Professional Development Collaborative (EPDC) is presenting a series of webinars open to all educators. All pre-service, K-12, and informal educators, as well as university faculty, are invited to join NASA education specialists to learn about NASA missions, activities, lesson plans, educator guides, and online resources that integrate NASA and STEM into the classroom. An upcoming webinar, “Explore Flight with Elementary STEM Science and Literacy Connections,” is geared toward educators in grades K-5. On Wednesday, 23 January (5:00 p.m. ET), the NASA EPDC at Texas State University is providing a one-hour webinar. Participants will explore teaching science and literacy through stories. Six integrated STEAM (science, technology, engineering, arts, and mathematics) lessons, based on popular books, will be presented. Instructional strategies for engineering kites, balloons, and parachutes will be included. 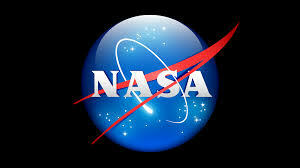 NASA resources for alphabet activities and integrated technology will also be included. Applications for the Fulbright Distinguished Awards in Teaching Semester Program for U.S. Teachers (Fulbright DA) will be accepted through 15 January. This program provides an opportunity for K–12 educators from the United States to take part in a three-month to six-month professional development experience abroad. Participants will pursue individual inquiry projects, take courses at a host university, and collaborate with colleagues on best educational practices. For more information, and to apply for the program, click here. Applications for the Fulbright Distinguished Awards in Teaching Short-Term Program for U.S. Teachers (Fulbright DAST), Cycle 1, is 25 January. (Applications for Cycle II, for projects taking place between October 2019 and May 2020, will open in February 2019.) Participants in the two-week to six-week professional development experience will share their educational expertise with schools, nonprofits, teacher training institutions, and other educational organizations abroad. Mexico: An American specialist in natural sciences and/or STEM will work with school administration, faculty, and pre-service Mexican public-school teachers to improve teaching methods in natural sciences and/or STEM. Uganda: An American Information and Communication Technology (ICT) education specialist will equip sixty Ugandan teachers with skills, knowledge and attitudes to effectively use modern ICT as tools for enhancing teaching and learning outcomes. Uzbekistan: An American TESOL specialist will conduct training workshops on modern and innovative TESOL teaching methods for Uzbek English language teaching practitioners. Are you 18-25? Participate in the Most Comprehensive Global Survey Involving Youth from Around the World! Are you 18-25 years old? Then participate in one of the most comprehensive global surveys involving youth (18-25 years) from all around the world! Through this survey, the UN (United Nations) Environmental Global Environmental Outlook (GEO) for Youth, wants to find out what you want your desired future to look like; how likely you think this future will become reality; which jobs you envision; and what actions you can do yourself to make the future planet more sustainable. The outcome of this survey will be included in an E-book published by GEO-6 for Youth. The GEO for Youth report is produced by, and adapted for, a youth audience. It is meant to stimulate dialogue within the youth community on environmental themes and issues, as well as to educate and provide capacity-building tools to foster active youth commitment for achieving sustainable development. For more information about GEO for Youth, click here. U.S. NOAA Announces Scholarship Opportunities for U.S. Undergraduates: 31 January Deadline! 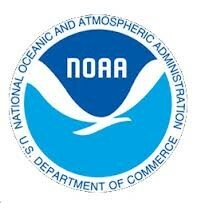 The National Oceanic and Atmospheric Administration (NOAA) has announced the availability of scholarships for undergraduate students majoring in disciplines related to oceanic and atmospheric science, research, or technology, and supportive of the purposes of NOAA’s programs and mission. No training workshops in your area? Check out GLOBE's protocol eTraining (In order to enter GLOBE data, GLOBE users must complete the necessary training either by attending a GLOBE workshop or by completing the required online eTraining modules. Once your training is complete, you will be ready to start entering your measurements - and will be joining a community of thousands of teachers around the world! Send us news that you would like to share with the GLOBE community and we'll include it in next month's News Brief. Be sure to include photos too.